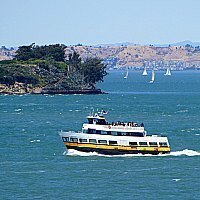 Things to do in San Francisco in July include a high-speed adventure on the SF Bay, a chance to explore Alcatraz, and a trip north to wine country. This month, you can also visit several of our free attractions, head out on a guided walking tour, or attend a popular event. 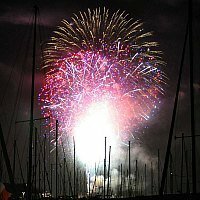 One of the most attended events this month is the Waterfront Festival in Fisherman's Wharf on July 4th. It's a time to relax, listen to live music, and enjoy the day as you wait for the spectacular fireworks display to start over the SF Bay around 9:30pm. Read on for more information on these and other fun activities this month in SF. The July events calendar is full of fun activities. The largest event is the Fourth of July celebrations along the northern waterfront in Fisherman's Wharf. 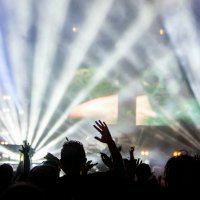 Other top events this month include the Fillmore Jazz Festival (first weekend in July), free concerts in Stern Grove Park, and the SF Marathon. Other highlights include the Renegade Craft Fair at Fort Mason and the Frozen Film Festival. 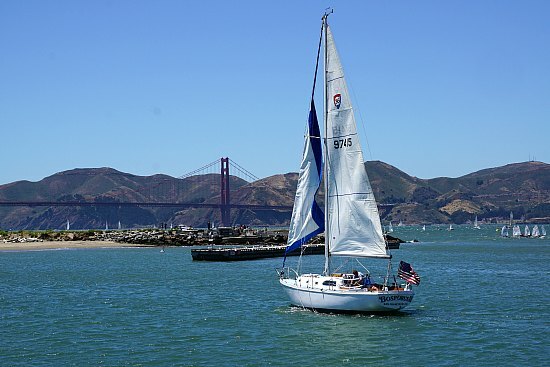 One of the best things to do in San Francisco in July is to spend some time on the water. This month, you can head out on the seasonal Rocketboat ride. It's a 30-minute high speed adventure on the water. You can also head out on a bay cruise. This 60-minute tour includes views of SF's top waterfront attractions. 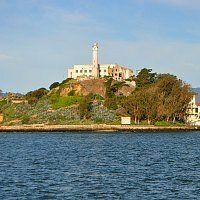 You will get the chance to cruise under the Golden Gate Bridge and around Alcatraz Island. 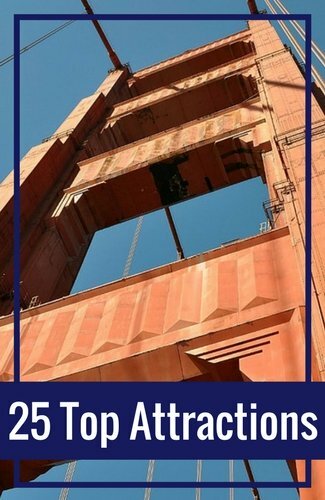 Along the way, you will also learn more about SF's history and these famous attractions. Find tickets for this tour at up to 50% off on Goldstar. My final recommendation this month is to spend time on the Privateer. This smaller boat offers a more personalized cruise around the bay. For 90 minutes, you will be able to see and learn more about SF's attractions. This cruise also goes under the Golden Gate Bridge. While you are here, you do not want to miss a visit to Alcatraz. It's the most popular attraction and during your visit you will see why. This former military and federal prison was home to many infamous prisoners such as Al Capone and Robert "The Birdman" Stroud. Learn all about them on this tour of the island. 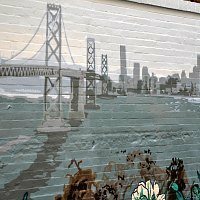 One of the best things to do in San Francisco in July to learn about SF is to take a guided walking tour. On these tours, you will focus on a specific district or attraction. You will learn more about it and find some hidden hot spots. Most are around two to three hours and include light walking and standing. Another fun district to explore this month is North Beach. You will find a variety of tours focused on this one district. You can learn more about its history, sample its tasty Italian treats, and more. Click here for a full list of tours in this district. All year long, you will find theater performances in San Francisco. They range from Broadway hits to local productions you can't see anywhere else. Click here for an up-to-date calendar of shows in San Francisco this July. I also recommend heading to the opera this month. Toward the beginning of the month, they wrap up their summer season. You will get the chance to see classic hits at the War Memorial Opera House. Click here for a detailed schedule. The Symphony is also wrapping up their season in July. This month, you can still catch almost a dozen shows. They play the classics, but also mix in the scores from recent popular movies. Click here to learn more. Before you book any tickets, make sure to check out the deals available on Goldstar. You can often find wonderful tickets at up to 50% the full retail price. While it's possible to spend all of your time in San Francisco, I do recommend that you check out some of the wonderful places that are within a few hours of the city. Muir Woods is less than an hour away just on the other side of the Golden Gate Bridge. 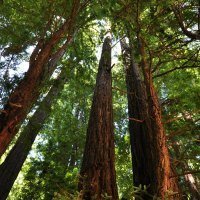 It's a National Park that is home to a large concentration of Coastal Redwood Trees. You can explore these beauties on the park's flat walking sidewalks or head up one of the steeper trails for a more intense experience. Click here for photos and more details. I also recommend a visit up to wine country. 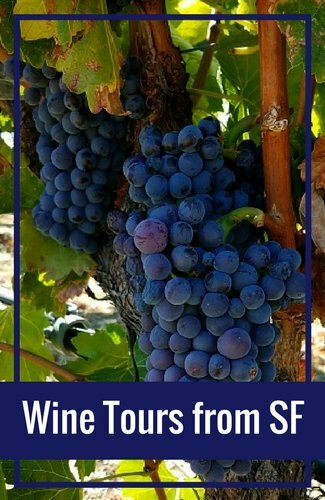 You will find both Napa Valley and Sonoma County about an hour away from SF. It's an easy get away where you can sample local wines all day. You can head up on your own or check out my recommendations for guided tours (which means you wouldn't have to drive back!). Angel Island is also a lovely place to spend the day. This island sits in the SF Bay just a couple of miles from San Francisco. You will need to catch a ferry to get here. On the island, you can hike, bike, or take a guided Segway tour. Learn more here. One of the best things to do in San Francisco in July is to save money on our free attractions, events, activities, and more. 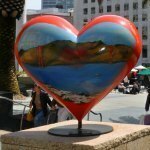 Every day of the week, you will find free walking tours offered by SF City Guides. These volunteer run walks offer you the chance to learn more about SF's attractions, history, and more. Click here for details. 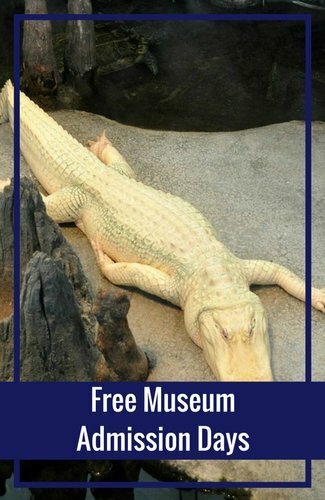 We also have a variety of interesting, and free attractions. These include Lombard Street, the Golden Gate Bridge, and Alamo Square. Click here for my 10 favorites. You will also find dozens of free events this month in SF. They include street fairs, 3 innings of SF Giants baseball, arts fairs, and more. Click here for my list of 101 free events each year (set up by month to make it easy for you to find the best in July). If you plan to visit with your kids, you will find plenty of fun things to do with your entire family. The SF Zoo is always a hit. Here you will find exotic animals from around the world. They also post their feeding times, so you can learn even more about each animal. There is a dedicated kids area where they can experience more animals first hand. 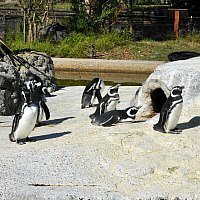 Click here for tips and pictures on the SF Zoo. One of my favorite things to do in San Francisco in July is enjoy the 7D Experience. It's part video game part movie where you work with the entire audience to get rid of the bad guys on film. You can also spend time in their LaZer Challenge room. Click here to learn more. If you are visiting with younger kids, then spend some time at the Children's Creativity Museum. It will give you a full day of activities, events, and hands on things to do with your younger kids. The San Francisco museum scene has improved drastically over the last decades. Many museums have remodeled, added on, or improved the traveling exhibits they have on hand. Three of the most visited include the California Academy of Sciences, the Museum of Modern Art, and the Exploratorium. In July, you should also check out the deYoung Museum. This newly rebuild museum houses fine arts from around the world. Their American art collection includes more than 4,000 paintings, sculptures, and other pieces of art. Another top collection is from Africa, the Pacifics, and the Americas. Click here for pictures and details on what you will see when you visit. Another fine arts museum in San Francisco is the Legion of Honor. This museum focuses on the world of European artists and other ancient pieces. You can see works from Auguste Rodin, Monet, Picasso, Renoir, and more. Click here for additional details on visiting the Legion of Honor. 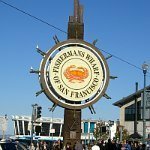 Another one of the fun things to do in San Francisco in July is to head to Pier 39 to visit the Aquarium of the Bay. 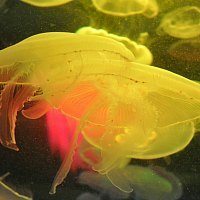 This well done museum shows you the living plants and animals in the SF Bay. There is also a small area where you can touch some of the smaller animals and learn all about them. Click here for pictures and visiting details. The three most visited attractions in San Francisco include Alcatraz, the Golden Gate Bridge and Pier 39. All visitors must add these to their list. In addition in July, I recommend stopping by Lombard Street. It's one of the most crookedest streets in the world. In July, its gorgeous flowers are in bloom and it's a beautiful place to see. Click here for visiting details. 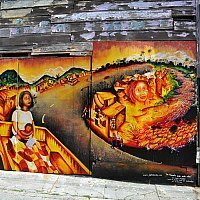 Another one of the fun things to do in San Francisco in July is to check out the Mission Murals. These colorful gems are all around the district. They are changing all the time with old ones being replaced by new ones. Click here for pictures and tips on finding the most colorful ones. If you plan to visit the Chinatown district, don't miss a quick visit to the Golden Gate Fortune Cookie Company. It's one of the only factories that still hand makes fortune cookies and you can see how they are made. Click here for details. 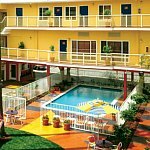 With more than 300 hotels in SF, it won't be too hard to find the perfect place for you. Most people stay in Fisherman's Wharf or Union Square. 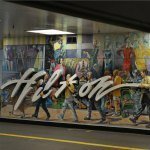 They are great options, but you will also find hotels all around the city. If you already know where you want to stay, you can head to Priceline and TripAdvisor for current guest reviews and to book your place today! Every night of the week, you will find something exciting to do in San Francisco. Some of the most popular activities are our concerts. You will find them at venues both large and small. Click here for a calendar of concerts this month in SF. You will also find several great venues for comedy. 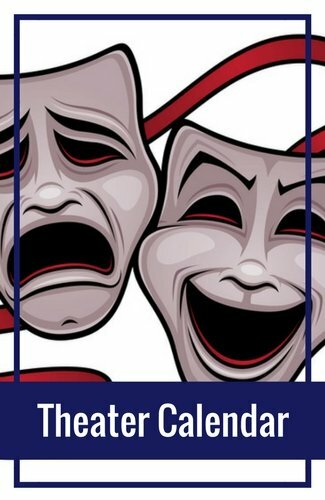 You can catch an Improv show, local comedians, or internationally recognized funny men and women. Click here for this month's calendar. You cannot go wrong with just heading to the bar for the night. We have an eclectic mix of bars from dive bars to high-end cocktail bars. Click here for some of my favorites. The San Francisco food scene is like no other. With more than 3,500 restaurants, you will never get bored with the options. 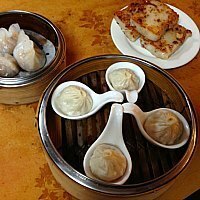 This month, I recommend trying something different -- dim sum! It's small Chinese dishes that are full of flavor and fun. Click here for my recommendations. You should also check out some of our best burger joints. You will find everything from the $15 burger to options that are more budget friendly. Click here for my favorites. You will also find many great places for Mexican food. My favorites are the locally owned places where you can get more authentic options. Click here for my favorites. 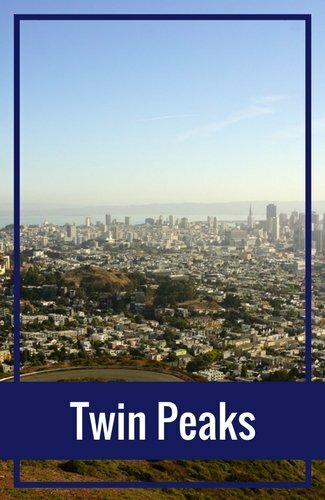 If you love to explore on your own, then another interesting thing to do in San Francisco in July is to check out my self-guided itineraries. They will take you to all the best places you need to visit. If you only plan to stay for a couple of days or over the weekend, then check out my 2-day itinerary. It's full of fun activities and crams in as much as possible in just two days. In July, I also recommend getting to know North Beach. On my one-day tour, you will visit Coit Tower, take in a comedy show, and savor food at some of the best restaurants. It also points out several places of historical interest. Another top district I recommend you check out in July is the Haight Ashbury District. It's well know for its role in the Summer of Love. My itinerary will point out places of interest as well as recommendations on where to eat and shop. In addition to discounted tickets on Goldstar, you can also save with these three retailers. 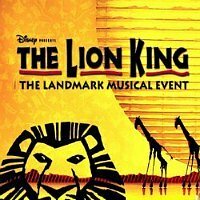 On Groupon, you will find great deals on tours, theater, and other events. In addition, you will also find some great savings on restaurants and bars. The thing I love about Groupon is that they have a wide selection of savings. It allows you to stretch your dollar further during your visit to SF as you enjoy all the fun things to do in San Francisco in July. >> Find Today's Daily Deal on the Best in San Francisco! CityPass is the most popular discount card. It offers you discounted admission off top attractions such as the California Academy of Sciences, the Exploratorium (or the SF Museum of Modern Art) and the Aquarium of the Bay. This card will also give you a ticket on an SF Bay Cruise (which is a MUST for all visitors). You can also use it for 3 days of Muni rides (this includes the Cable Cars). 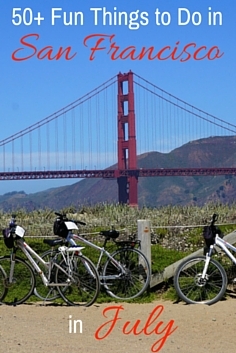 >> Save up to 46% on San Francisco's Muni and 4 other attractions with CityPASS. Shop Now! The GoCard is another amazing discount pass. This one works differently where you have access to almost 30 different attractions and activities. You can also select the places you would like to visit based on a 1, 2, 3, 5, or 7 day pass. It features several fun things to do in San Francisco in July including top attractions such as the California Academy of Sciences, the SF Moma, the Exploratorium, and others. 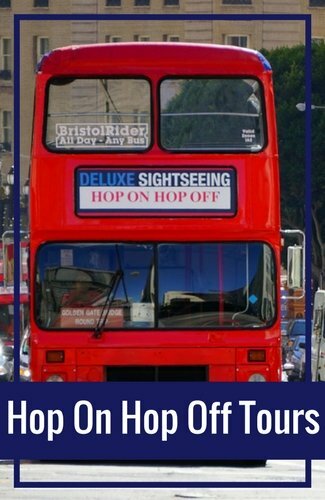 It also includes some tours including Bay Cruises, wine tours, city bus tours, and more. 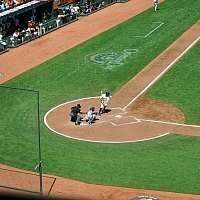 In July, the SF Giants are in action at Oracle Park (formerly AT&T Park). 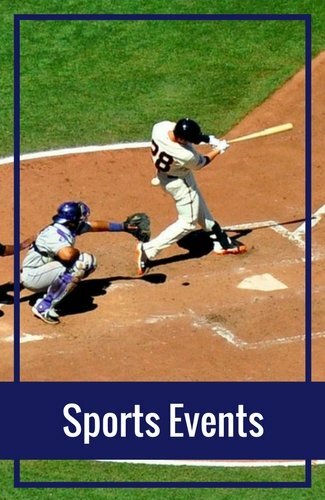 They play almost a dozen home games against teams such as the Oakland A's, the LA Dodgers, and the Arizona Diamondbacks. Click here for this month's schedule of games. The Oakland A's also have almost a dozen home games in July. They play just across the SF Bay at the Oakland Coliseum. You can also head down south to see the San Jose Earthquakes in action. This major league soccer team plays 2 to 3 home games each July. San Francisco's unique districts make you feel like you are traveling around the world in just a few short days. 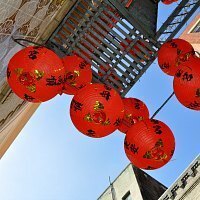 One of the most interesting to visitors is Chinatown. This historic district is where you can visit old temples, sample dim sum, and visit a working fortune cookie factory. Click here for more on this district. Alamo Square is another unique district in SF. This is where you will find a large concentration of historic Victorians known as Painted Ladies (called this when their exterior has three or more colors). You can also visit the famous ones called the Seven Sisters which is just east of the park on Steiner at Hayes. Click here for details. Another one of the fun things to do in San Francisco in July is to visit the Castro District. It's a colorful district and is the place where you will find out more about SF's LGBTQ community. You can visit a local museum, check out its murals, and stop by Pink Triangle Park. Click here for more information. If you love to shop, then you are coming to the right place! San Francisco is full of wonderful shopping malls and districts. Most people spend quite a bit of time in Union Square. 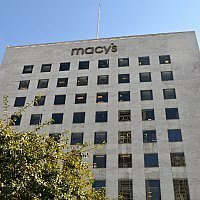 This is where you will find high end brands such as Apple, Macy's and Tiffany & Company. Others prefer to search for bargains in Chinatown. You will find everything you need here on either Grant Avenue or Stockton. One of the other things to do in San Francisco in July is to head over to the Ferry Building to shop for gourmet goodies. Here you will find artisan breads, cheeses, chocolates, and more. 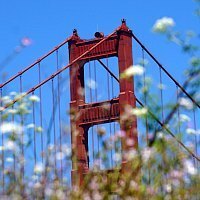 What is the weather like in San Francisco in July? It's cool and breezy. Most people think it's going to be warm and sunny, but San Francisco is quite cool in the summer. With the warm temps across the SF Bay, San Francisco is cooled each night with a layer of fog. This keeps it fairly cool all day. In addition, the wind is consistent most days, which keeps it even cooler. During the day, expect temps in the mid to upper 60s. At night, it will dip down into the upper 50s. Make sure to pack layers. I recommend light shirts and pants. I also recommend that you bring along at least one light jacket. 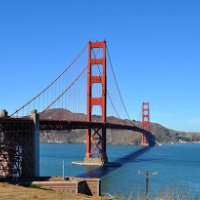 You will probably be taking it on and off all day as you move around to all the top things to do in San Francisco in July, but it will help cut down the chill of the daytime breezes here. Did you love my list of the best thing to do in San Francisco in July? If so, then add this page to one of your Pinterest boards to quickly find it before your trip.